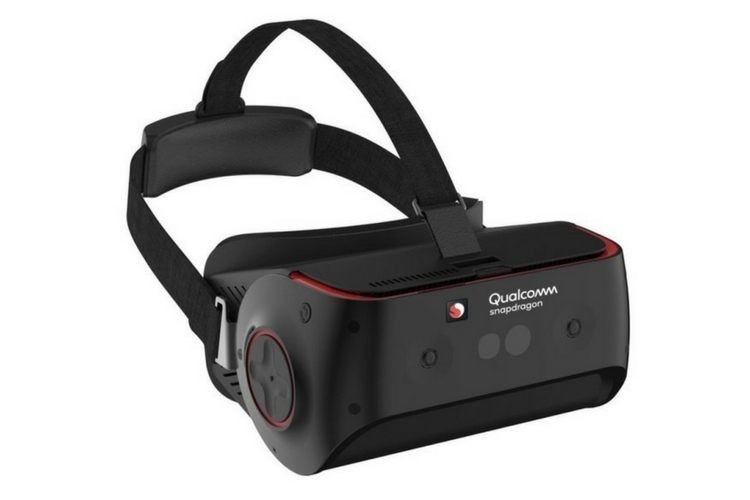 Qualcomm has announced a VR headset reference design based on its latest Snapdragon Mobile VR platform. This particular announcement comes a week ahead of the upcoming Mobile World Congress, which is scheduled to begin next week in Barcelona. The headset is powered by the Snapdragon 845 platform, the company’s latest flagship chipset. According to Qualcomm, the headset offers more than twice as much “display throughput” when compared to the 835 platform. It also offers 30% faster performance and uses 30% less power. Talking about the specifics, the headset is capable of displaying 2400 x 2400 pixel per eye at 120 frames per second, much higher than the existing HTC Vive, which has a resolution of 1400 x 1600 pixels per eye. The Snapdragon 845 will also enable standalone VR headsets like the Mirage Solo and Vive Focus to ship with higher-res displays. Qualcomm’s new headset also bring new features like foveated rendering and room-scale tracking. The headset has four cameras, two facing inwards to track eye movements, and the others facing outwards. The eye-tracking feature is sort of an uncharted territory for other headsets in the market. Although the company has showcased the headsets today, we still don’t have a lot of details about which devices will be powered by this SoC. More details are expected to be unveiled at MWC later this month. Lastly, it is also worth making a note that the VR Headset won’t be available to purchase for the consumers, as it is merely a reference design for OEMs. That said, it should still give us an insight into what we should expect from VR headsets based on Qualcomm’s latest chipset.